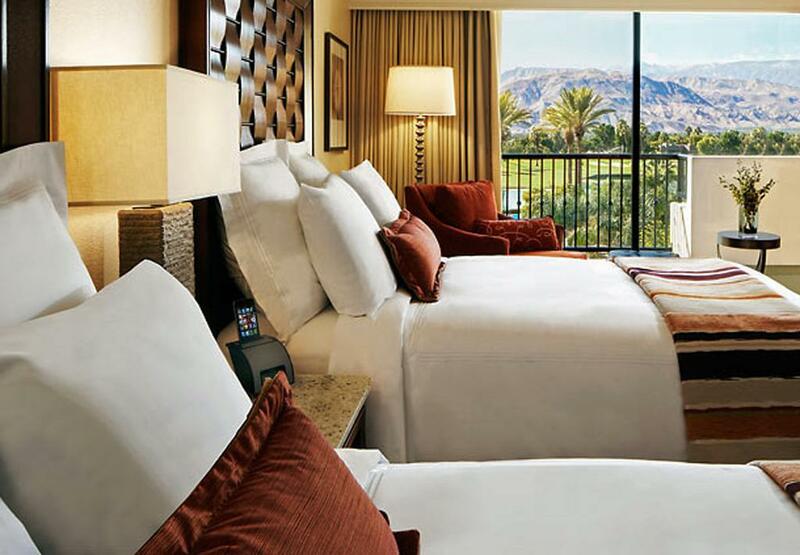 An extraordinary oasis in the Coachella Valley, the JW Marriott Desert Springs Resort and Spa offers a rare combination of California hospitality, extensive amenities, impeccable service, luxurious accommodations and resortactivities. Located on four hundred thirty-six landscaped acres in Palm Desert, the resort complex features twenty-three acres of lakes and Venetianinspired waterways including an eight story atrium lobby with exotic birds, palm trees, waterfalls and boat dock. Resort fee can be added for $35 plus tax per day at the resort.